Gucci Mane's son's mother, Sheena Evans, wants the ATL rapper to start paying more child support for their 11-year-old son, Keitheon. Now, she's revealing she's down so bad that she's on welfare and living in Section 8 housing, which are a few tidbits that would help her ongoing child support case against the "So Icy" rapper. According to The Blast, a hearing was held this week in the case where she's requesting an increase in child support payments. He's currently paying $2,026/month. She wants him to cough up at least $20,000/month, so that his son can live just as lavish as he does. And she knows he's living lavishly because he and his wife, Keyshia Ka'oir, are also flexin' on the 'Gram. Sheena's lawyer told the judge that she "lives in Section 8 housing, is on government assistance, receives food stamps and is on Medicaid … all while Gucci is making millions." Last week, the "Wake Up In The Sky" rapper threw his wife a huge bash to celebrate her birthday. To top it off, he gifted Keyshia a red 2019 Rolls Royce Cullinan (which starts at $325K). Not to mention, they were dripping in custom designer threads as well, as they do daily on IG. Despite all of the fancy parties, luxury whips, and uber fab vacations, Gucci claims his income hasn't changed since 2011 and he can't afford an increase. In the filing, he pointed out that he's already paying health insurance and medical expenses for his son, so he doesn't feel like he should have to pay more and wants the case thrown out. 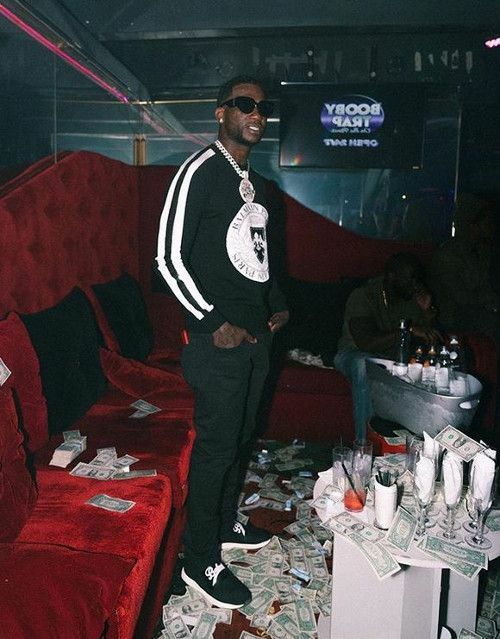 In a few weeks, Gucci Mane will hit the stage to perform at The H.wood Group’s annual Bootsy Bellows “Big Game Experience” pop-up as part of Super Bowl weekend festivities.